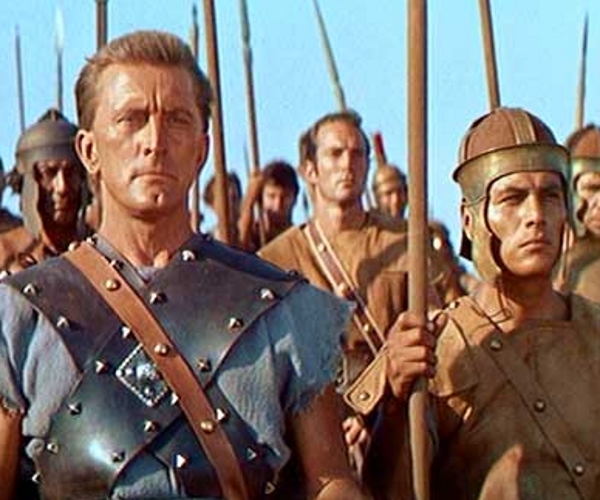 Twitter resembles epic Hollywood film Spartacus right now, as thousands of people tweet bomb threats to a small airport in England. What’s going on? Chambers appealed the case and yesterday the judge upheld the original decision, meaning Chambers’ fine and criminal record remain in place. Yesterday, floods of Twitter users showed their support with #twitterjoketrial tweets, including Stephen Fry who offered to pay the fine. Today though, that original, incriminating tweet has gone viral as users protest the decision to prosecute what amounted to little more than a flippant remark. In the past 15 minutes alone we’ve seen 2000 copies of the “threatening” tweet, accompanied by the hashtag #IAmSpartacus show up in Twitter search. There’s little chance of the protest changing anything, of course but it does show that some of our laws are hopelessly behind the times. In “Ye olden times” sending a joke letter to your local airport threatening to blow it sky-high would quite rightly result in a police investigation. Meanwhile, the same words used in a TV comedy show would be ignored by the authorities. The problem with Paul Chambers’ “threat” is that it landed squarely between those extremes – a public, joke message tweeted by an individual in a way that made it seem like a direct message to the airport itself. The law simply isn’t set up to cope effectively with the kinds of grey areas being uncovered as we increasingly use social media. Paul Chambers will be okay – even if Stephen Fry doesn’t pay his fine, there’s a good chance of some kind of book or movie rights deal coming along to make him far for than the £1000 he’ll be out of pocket from yesterday’s decision. The law, on the other hand, clearly needs to change to reflect the changing ways we’re using technology. Read next: Supercomputers the size of sugar cubes? Believe it, IBM says.